This is the kind of review that my kids love! Yummy, healthy things to eat or drink. We've been sent some Vita Coco Kids fruit flavoured coconut water to try. I'll be honest, it's not something I've even heard of before, but as we seem to get through a LOT of cartons and bottles of kids drinks - with packed lunches, day trips and picnics - a new variation to our usual purchases is always welcome. "Naturally refreshing, coconut water has a sweet, nutty taste. 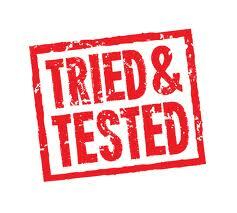 It contains easily digested carbohydrate in the form of sugar and electrolytes .... It has fewer calories, less sodium, and more potassium than a sports drink. Ounce per ounce, most unflavored coconut water contains 5.45 calories, 1.3 grams sugar, 61 milligrams (mg) of potassium, and 5.45 mg of sodium compared to Gatorade, which has 6.25 calories, 1.75 grams of sugar, 3.75 mg of potassium, and 13.75 mg of sodium." Do the kids like them? Well, this is what my boys had to say! And since we got sent 4 cartons and I only have 3 kids right now, I got to have one too! And they ARE nice! I was a little concerned that the coconut flavour would be dominant over the fruit - I'm not the worlds biggest coconut fan - but it really isn't. It gives the drink a lovely soft flavour which, like Jack said in the video, is a bit like drinking a smoothy. Where do I get them from & how much are they? 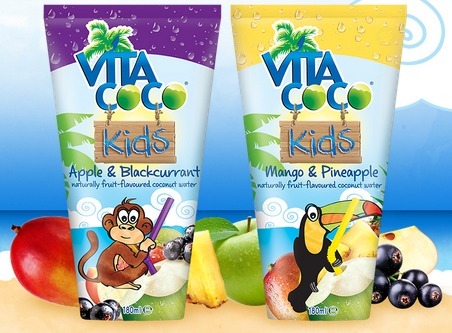 You can also buy Vita Cocio kids at: Waitrose, Sainsburys, Ocaco, Amazon, Holland & Barrett, Whole Foods, Planet Organic, speciality and health stores and other independents. All views and opinions in this review are my own and that of my family. I have not been paid to make this review, but I was given 4 sample drinks for free.